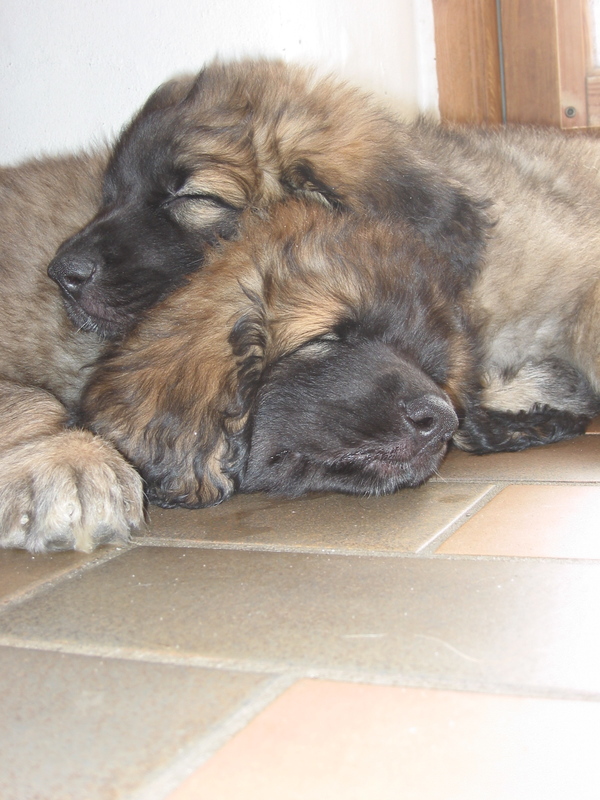 Our Danish import Mason was a classic Leonberger. He was easy going, kind, and fit into every situation. 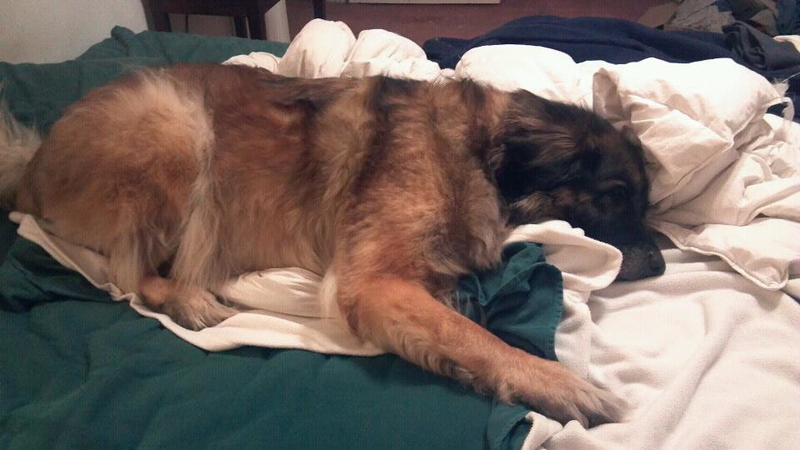 Mason came from Kennel Kahimas and immigrated to the United States when he was about 8 1/2 weeks old. When David was traveling home with Mason, the flight attendants stole the little puppy and brought him to the back of the plane because they felt he needed to run around. We never showed Mason too much, but he was always number one in our home. People who met Mason always remarked about how nice he was. 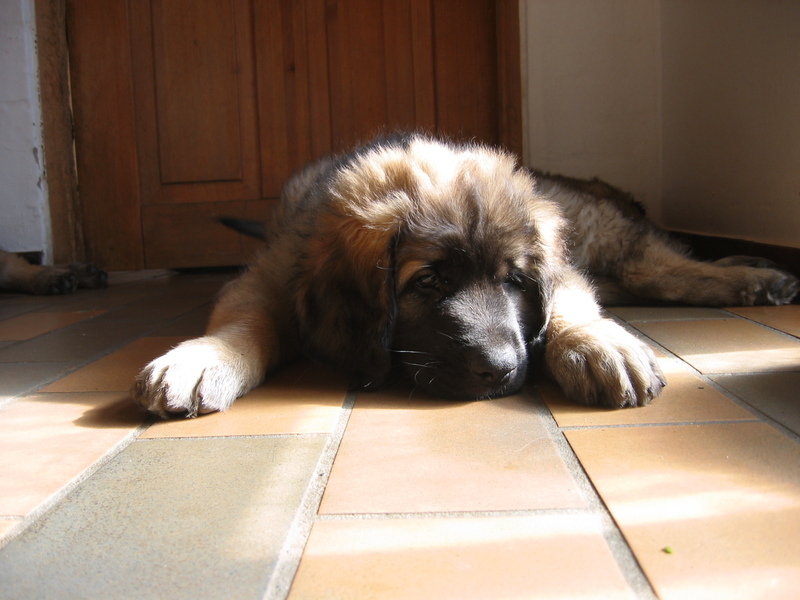 Many who had never seen a Leonberger before started their search for one after meeting this guy! 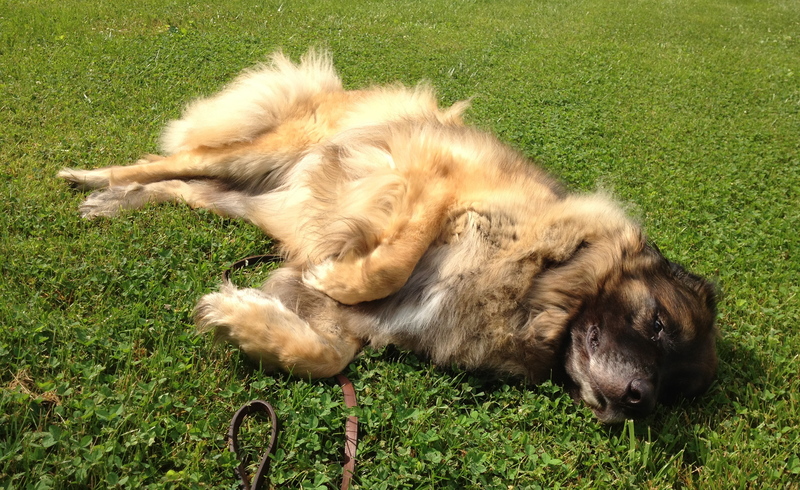 Mason enjoyed running around with his pack and rolling on the grass in the sun. He just really enjoyed everything he encountered. 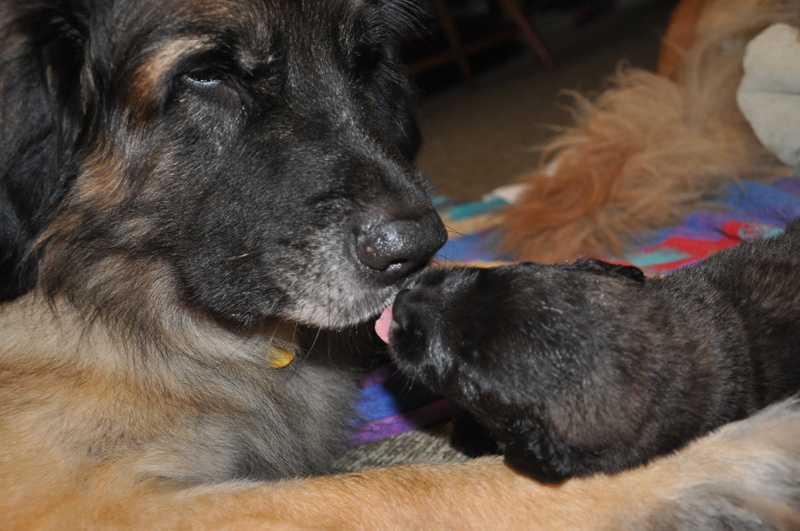 When we had our Boudica – Huck litter, Mason spent so much time with the puppies. He loved puppies and helped them understand how to interact with other dogs and people. He was a wise leader. Mason lived to be 9 1/2 years old and died from hemangiosarcoma. We miss our big guy. To see Mason’s pedigree, click here. To learn more about Mason’s breeder, click here.